First impressions driving the 4G prius. The first electric touring motorcycle. What has to be the ugliest concept vehicle ever unveiled, a self driving Rolls Royce. 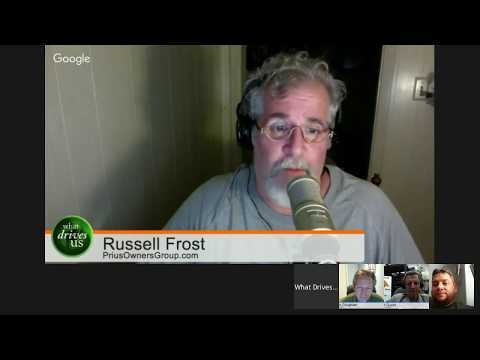 Why Nissan Leaf sales have slowed so much. Nissan confirms 200 mile range Leaf coming. Tesla talking about acquiring Solar City. 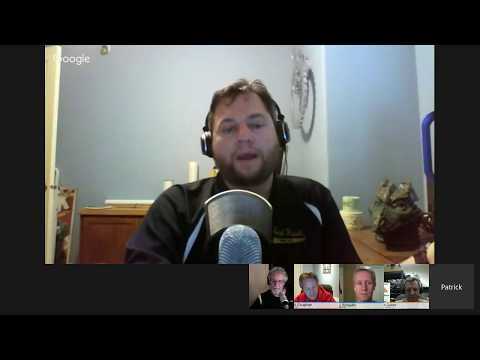 This week Tony, Mark and Russell spend the entire show talking with Ben Rich. Ben rides his electric Zero Motorcycle all over North America and is just about to set out on a new voyage around the US. 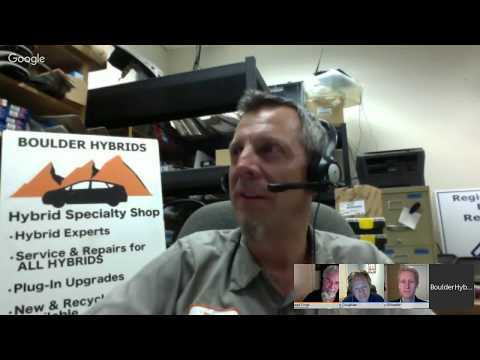 We discuss his techniques for long distance electric motorcycle travel and ev bikes in general. You can find Ben on Twitter, @Benswing and on Instragram, @BenSwing. We also want to shout out to Hollywood Electrics and Zero Motorcycles. 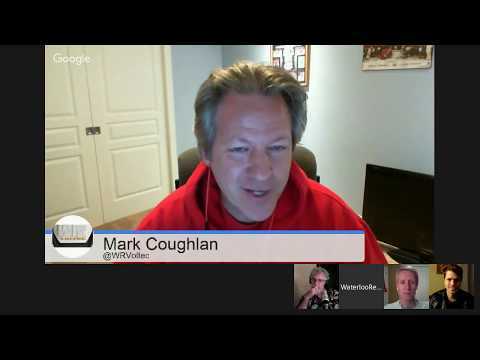 Thanks to Ben and to Mark Coughlan for inviting him. Special Note: I drove the Ford Fusion Energi during a particularly cold December week in order to test its cold-weather performance. Taking exterior pictures in sub-freezing temperatures is not pleasurable. For that reason, there are not many personal pictures accompanying this article. I have to admit I was really looking forward to driving this car. 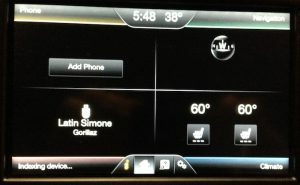 My wife owns a 2010 Fusion Hybrid and really likes it. 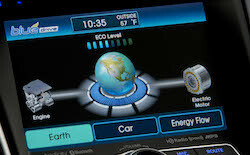 I wanted to see this new generation of Fusion and experience how Ford has incorporated the plug-in technology. After all, this might be my wife’s next car. Simply driving the car wasn’t enough. I wanted to test it. 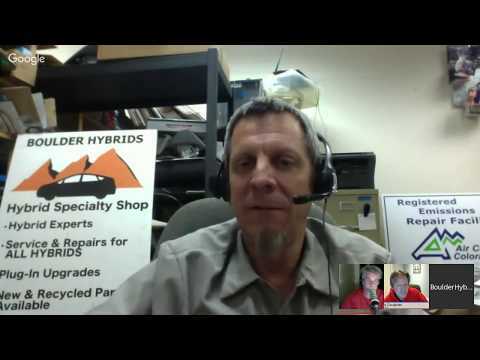 Hybrid drivers know their car will return the best mileage in warm months. 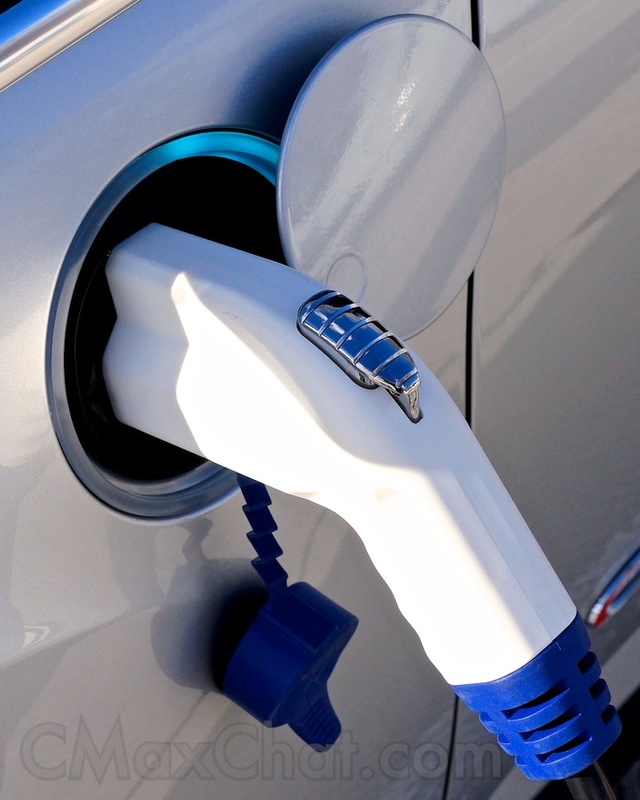 Every plug-in manufacturer promotes the mileage earned by a fully charged vehicle. What I wanted to do was see how well the Fusion Energi would perform during a Chicago December being plugged in only sporadically. By capturing a snapshot of how the Energi performs during difficult situations, I hope to get a sense of how good it can be during the best of situations. Additionally, I hope to get the car again during the summer months for a true comparison. Coming from the 2010 to the 2013 is a huge change in terms of the exterior. Parked side-by-side, you would have difficulty identifying them as versions of the same vehicle. Gone is the high-chrome grill and in its pace is the large open grill that has become Ford’s standard. I know there are many people who liken it to high-end luxury cars and they praise the aggressiveness. I’m not blind; I see it. It’s just not my cup of tea. 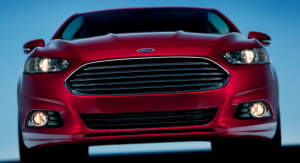 Having said that, the leading edge of all Fusion models does indeed take an aggressive stance. In darker colors, the combination of the grill and headlights presents a frowning, angry profile. This front-end extends beyond he front wheels more than I anticipated. Couple this with the hood slanting down away from the driver and I had very little idea where the front of the car actually was at any point. Parking was a fun game of trying to pull into a spot without curbing out. All-in-all, except for that front-end, I can’t help but to describe the Fusion styling as under-toned. Ford keeps with minor details and only a few accent lines. Ford has an established history with established models; there is little need for them to go out of their way to make their vehicles flashy and showy. They keep the Fusion clean and in doing so keep it classy in my opinion. 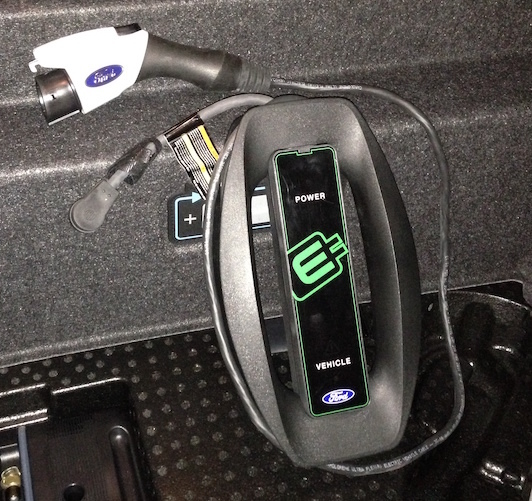 Of course, the easiest way to identify the Fusion Energi is the plug port just forward of the driver’s door. From some angles, it’s easy to miss. This port is covered with a round door that swings open when pushed. It’s lined with an LED ring. When unplugged, there is nothing very interesting about it. When plugged in, however, the ring pulses and provides a visual indication of the battery’s state of charge by illuminating a growing portion of the ring until it’s fully charged/illuminated. That’s a nice touch and avoids the need to power up the car to check charge level. Like the previous hybrid iteration, the 2013 Fusion Energi dashboard has an analog speedometer flanked by two full-color LCD computer screens. This is, by far, one of my favorite features with the Fusion vehicles. 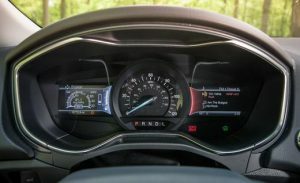 Rather than dedicate space to single-purpose gauges, Ford has computerized the displays so you can decide which gauge to display. The car I drove was the SE model, not the highest-tier Titanium. For this reason, I feel that my displays and options were limited. At least I hope so because our 2010 Fusion Hybrid had better displays than the 2013 Energi I test drove. The driver controls the display of the dashboard screens with arrows mounted on the steering wheel. There are two sets of arrow buttons: right thumb for the right side and left thumb for the left side. For the most part, using these buttons with your thumb is okay. Unfortunately, the [up] button is curved around the top of the steering wheel post making it almost physically impossible to easily push with your thumb without adjusting your grip on the steering wheel. Even once you get comfortable with the arrow buttons, changing the screens can be a navigational nightmare. After a while, I came to know where the screens were located in the maze of levels and sub-levels. It made me wonder whether you’re supposed to simply pick a screen and stick with it. Switching is certainly discouraged. I found the audio entertainment navigation on the right side much easier to navigate than the vehicle information displays. Easier to reach are the cruise control buttons on the left and phone controls, voice controls, and volume controls on the right. The greater scheme of the layout becomes apparent when you consider the left side of the dash is vehicle information and the left side of the steering wheel is car-related. The right side of the dash is infotainment and the right side of the steering wheel controls media. Once you get it, you get it. The dashboard coloring is very easy on the eyes. Ford has employed shades of red and blue to create a nice, strain-free ambience. To offset the cool, relaxing hues, there is a “Ready” indicator, which lets the driver know the car is started and ready to be driven. If the overall dashboard can be described as relaxing, the “Ready” light, by comparison, can be described as “highlighter-green LED shone directly into your eye.” I can understand the need for a “Ready” light since powering on the car rarely includes starting the engine. However, once the car is shifted into Reverse or Drive, the “Ready” light becomes moot. Ford is not alone in the “Ready” indicator, of course, but it is the only car I’ve driven that left a blind spot on my retina. My first impression of the overall cockpit and center console was underwhelming, but not in a bad way. The lines are clean and capacitance buttons replace most of the conventional air conditioning buttons and knobs. This means they use the electrical capacitance of your fingers to trigger the buttons. When you remove the push buttons and dials found in most cars, you are rewarded with a cockpit that is clean and sleek. A word about capacitance buttons. These function on essentially the same principle as smart phones in that the small electrical current in your finger closes the circuit and activates the button. The idea of capacitance buttons in a vehicle was clearly conceived in warmer climates. One morning, it was 8°F. The car had been sitting outside all night. After knocking the fresh snow off the car all I wanted was warm air and heated seats. But what really warmed my heart was taking solace in the mental image of a Ford executive somewhere outside Dearborn, Michigan, being forced to remove his gloves – just like I had to – in order to use the buttons that heat his car. And don’t even try to tell me about those gloves with the special fingertips so you can use your cell phone. I shouldn’t have to buy new gloves just to heat my car. I was 8°. A couple months later, it was -12° with a wind chill of -40° and I’m scraping ice off the windshield. That’s not special capacitance glove weather; that’s hockey glove weather. Once engaged, the cabin heats quickly and efficiently. I base the heating of the cabin on a couple things: when I can remove my gloves (voluntarily) and when the engine will shut off. These factors tell me that the cabin is warm, the engine is warm, and the A/C is no longer drawing huge amounts of heat off the engine. In the Fusion Energi, I had reached both qualifications within about a mile and perhaps ten minutes. Granted, when you’re sitting in a cold car, this seems like a long time but it’s faster than other cars I’ve tested. Heated seats, as always, help. I tend to adjust the dashboard illumination quite a bit based on natural lighting. I bump it up during the day and tone it down in the evening. 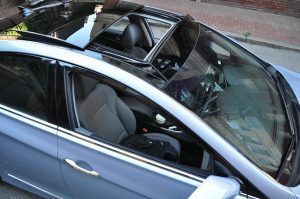 Rather than a rheostatic wheel seen in other cars, the Fusion Energi uses up and down arrows to allow specific stepped adjustments. I personally prefer this; it just feels more precise. In my wife’s 2010 Fusion Hybrid, the headlights do not automatically turn off when the car is powered off and locked. Rather, it reminds the driver to turn them off with a series of chimes. I normally admit when I am being petty but in this case, how hard is it for the car to know that it is parked and powered off? For the cost of the Fusion Energi, in the 21st century, headlights that turn themselves off should be standard. The headlights controls themselves left me a little baffled. Employing a dash-mounted dial to the left of the steering wheel, I found it neither easy to see, reach, or understand. I am one of those drivers who uses the headlights as a communication method with other drivers. On one commute, I wanted to blink my lights to indicate that I would yield right-of-way to a car wishing to turn in front of me. This requires only a twist of the stalk in my current car; in the Fusion Energi I couldn’t figure it out and ended up snubbing the poor guy. Under the center console, Ford has taken advantage of a dead spot by building in a storage cubby. Due to its height, location, and depth, I found it considerably easier to put things into this cubby than to fish them out again. One little gem was the cigarette lighter power plug which could be used as a phone charger. 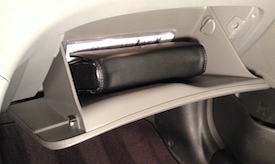 In the center armrest console, Ford has fitted 2 USB ports, audio/video ports, a cigarette lighter power port, a pen holder(! ), holder for business cards, and removable tray. Fortunately, Ford redesigned this area: it’s oddly oriented and nearly impossible to access the USB in the 2010 Fusion Hybrid; in the 2013, the ease of access is impressive. Topping it off is the cord minder and the ability to close the armrest without pinching the cords. I plugged my phone into the USB to see if it could access my playlists. Within a few seconds of plugging in, the active playlist started playing though the stereo system. This is as expected, of course, but some cars do not play well with Apple’s iOS 7. The phone quickly appeared as a media source on the central screen and all steering wheel controls were active. It started indexing my phone for the voice-activated commands. I’ll finish my interior review with a feature I hadn’t seen in a while: individual driver presets. Once you find the seat position and side mirror combination that works for you, push and hold one of the buttons to program it. Up to three presets can be stored allowing multiple drivers to have the car return to their perfect settings the next time they get in. Or you could do what I did: program one of the buttons to move the seat to a position that makes it easier for you to get in and out. So many times people ask me about the differences of driving a hybrid versus a conventional car. No doubt a plug-in hybrid would make their heads spin. Rest assured, the accelerator is still on the right, the brake is still on the left, and the steering wheel still makes the car change direction. One thing I noticed immediately was the amount of engine noise. I’m familiar with continuously variable transmission (CVT) systems generating high RPMs and sounding like they are working harder than they actually are. All that is not new to me. What surprised me was the volume at which the Fusion Energi engine came in and operated. Though it was hard to feel the transition from EV to engine, there was no mistaking the sound when the transition occurred. Case in point: I was near the front of a line of waiting cars being held by a construction flagman. When he waved for us to start moving, the Fusion Energi spun up and the flagman gave me a look as though I was intentionally revving the engine. Engine noise aside, I did enjoy the overall drive. There were two separate snow storms during my time with the car. At no time did I feel concerned or unsafe. The Fusion handled very well in deep and falling snow. It was extremely capable in turns on slippery roads. My wife was not too pleased with the flashing traction control light on the dash, but that’s how you know it’s working. And work it did. The Fusion Energi has a push-button parking brake. It’s just a sign of the times, I know. But there’s just something about yanking that hand brake or stomping the foot brake that really lets you know it’s engaged. Pushing a button seemed too removed from the process. The same could be said for push-button start, I’m sure. No doubt we’ll see this in more and more cars in the near future. The car I drove didn’t have a HomeLink button allowing the driver to program the garage door code into the car. Something like this eliminates the need for a separate and bulky garage door opener. As I said before, I didn’t have the top-of-the-line Fusion Energi but my wife has the top-end 2010 Fusion Hybrid and her car doesn’t have HomeLink either. Is this a Ford thing? Are they convinced people would rather have an ugly garage door opener hanging from their visor? Respectfully, I disagree. As expected, getting excellent mileage in a plug-in while it’s running on electricity is easy. I don’t have the tech to calculate the amount of energy consumed to convert grid power to wheel power so I can’t speak to the MPGe. Some people might be a little disappointed in that; this makes it easier to identify the people who worry too much. As I mentioned previously, I didn’t want to take advantage of fully recharging every night. I didn’t want to start each day with a full pack. What I wanted was to get an impression of how the Fusion Energi would perform for those people who only get to charge intermittently. To that end, I plugged in only two of the six nights. Also, it was Chicago in December. It was cold. I only parked in the garage on those nights I charged the batteries. Most mornings, the car was starting cold with a fully discharged battery in below-freezing temperatures. First, I want to talk about charging. Ford uses what they call “My GO Time” scheduled charging. This is amazing! Not only can you schedule when to charge the batteries, you can tell the car to preheat the cabin to a preset temperature. Let’s discuss each of those components. There is ongoing debate whether it’s best to charge the car as soon as you get home or right before you drive it. Using “My GO Time”, the Fusion Energi will start charging when it needs to in order to be ready when you need it. Thus, it uses the ‘right before you need it’ philosophy. Also, preheating the cabin while the car is plugged in not only saves you from sitting in a cold car; it saves you from having to run the engine to generate heat. It’s part creature feature and part efficiency. One last thing about this: one morning I was running about ten minutes late. The heater was still engaged maintaining the designated temperature. I was in love. The Fusion Energi uses the standard J-1772 plug and comes with a 25-foot cord. I was concerned that it might not be long enough but it was fine. Even though the placement of my garage’s plug was nowhere near where the car’s plug port is, there was plenty of cord to spare. 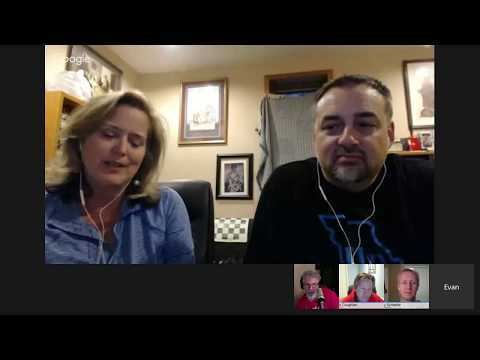 One point Ford stresses: Do Not Use An Extension Cord! 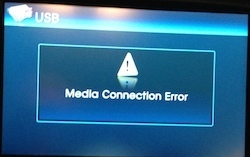 This point is stressed repeatedly just about everywhere there’s a mention of plugging in the car. Just don’t do it. Most of the time, the car will be plugged in unsupervised; you won’t be there if the extension cord fails; you won’t know until your garage is burning down. Just don’t do it. Driving the Fusion Energi, the car rolls surprisingly well. Why am I surprised? Because you can normally tell when a car is using regenerative braking or just capturing energy from spinning the wheels. There is usually a feeling of drag when you take your foot off the accelerator. The display screen indicated that regeneration was taking place, but I couldn’t tell which made me wonder just how much energy was being captured. When I wanted to use the EV button, I found it awkward to reach. It’s located to the right and of the center-console shifter. In other words, exactly opposite the driver. It’s as though it’s hiding behind the shifter and my morning mug of coffee. Seriously, it’s inconvenient enough to be discouraged. I can understand that it’s not a good idea to overuse the EV button for multiple reasons, but this placement just felt like an afterthought. As though someone at the last minute realized they didn’t have a location for the EV button. Finally, someone said, let’s make it easier for the passenger to use than the driver. On the grand scheme of things, though, if this is what I’m complaining about, I’m just whining. You might be wondering why I was reaching for the EV button so much anyway. Well, the Fusion Energi just didn’t seem to use EV Mode very aggressively on its own for my taste. I’m willing to conceded that this might be weather and temperature related, but I know my route and I know where a hybrid should be able to shut off the engine. Including my wife’s 2010 Fusion Hybrid. After a couple days, I realized the Energi just wasn’t going to shut it off so I took matters into my own hands. This is where I want to drive this car again in the summer to see if the lack of EV was indeed temperature related along with my desire to heat the cabin. The gauges I used the most were the ones that showed the amount of demand I was placing on the car versus the amount of demand it could support before disengaging EV mode. Using this gauge, I could adjust pedal pressure to stay in EV mode as long as possible to minimize the use of the gasoline engine. The same gauge provided real-time MPG results. In a nice touch, Ford has the battery charge level nestled up next to the gas level in an unassuming manner. Simple arrows point up when charge is being added to the battery and down when charge is consumed. I’m guessing the average driver isn’t going to dwell on the battery state of charge as much as I do and this minimalistic approach provides information without over-exaggerating its importance. These displays are easy to read and very informative. I feel as though they provided the right blend of information for me to really work the car for maximum mileage. Speaking of which, let’s look at the numbers. I’m going to be throwing around mileage numbers so keep in mind that the 2013 Fusion Energi is rated at 44mpg city and 41mpg highway for a combined 43mpg. The average temperature on my morning commutes was about 16.5°. I did not shy away from using the heater and the heated seats. On the mornings when I started with a fully-charged pack, I achieved 180.2 mpg at 14° and 81.5 mpg at 8°. The difference between the two drives was the route: one is slightly longer but more conducive to hypermiling; the other is highway almost the whole way. On the mornings when the car sat outside and started with a dead plug-in battery, I averaged 38.4 mpg. Considering the circumstances, I consider this a commendable mileage number representing manageable drop in mileage. Shoot, I know Prius owners who see sub-40 mpg in the winter. 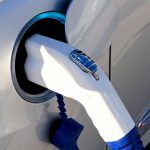 Ford claims the Fusion Energi should be able to travel up to 21 miles on a fully-charged pack. Perhaps it was the temperature, but the farthest I was able to travel on plug-in charge was 14.4 miles. I expected a hit to the range; it’s very well documented that every battery pack loses performance in cold temps. But from 21 miles to 14 miles is a 33% drop. That’s rather significant, in my opinion. The evening commutes were usually warmer than the mornings though twice it was snowing and one evening I was hurried. Because my morning commute is far enough to completely drain the plug-in charge, my evening commute was always just as a normal hybrid. Five commutes, averaging 15.5°, gave me an average 38.3 mpg. This is just slightly less than my morning commutes but due to terrain, I see this in my own car and am not surprised. For the entire week, my average mpg was 42.2, elevated by those two days when I fully charged. Let’s pretend I charged every night and averaged 130 mpg every morning (the average of 180 and 81). Perhaps I could expect to see close to 170 mpg. This should be above 200 mpg in the summer months. I shouldn’t have to tell you how excited I would be to see those numbers. The Fusion, in my opinion, is a really good family sedan. I’m not just talking about the Energi; I’m talking about the Fusion in general. Ford has had many years to get the dimensions correct and, as far as I’m concerned, they’ve done a good job. You can easily fit a family of four; each person gets their own cup holder. There are two in the front and two in the back. All are located in the center of their respective rows making for easy reach for all. Additionally, each of the four doors has a bottle holder built in. The placement of the cup and bottle holders keeps them within reach but also out of the way. It seemed to me as though the back seats were just a bit stiff. It would be fine for hauling some coworkers to lunch, but as a kid I wouldn’t want to sit back there for a long drive. I drive to my folk’s home a few times a year: 375 miles each way. The kids are only as well mannered as their butts are comfortable. The general slant of the back half of the roof seems to encroach on headroom in the back. I’m 5’9” and my hair was lightly brushing against the ceiling. And then there’s the trunk. Let’s put it this way: the trunk comes preloaded with a 7.6 kW battery. That’s my best effort at putting a positive spin on it. Seriously though, it’s a plug-in hybrid. The battery has to go somewhere. Every plug-in hybrid makes the same – or similar – trade-off. There’s no getting around it. 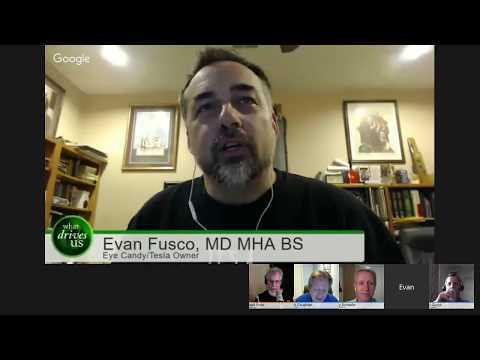 The Fusion Energi is no different. So, in my opinion, to complain about the battery encroaching into the trunk is just silly. If it bothers you that much, just buy the Fusion Hybrid. I found that the trunk has room for five paper shopping bags. Maybe six if you cram. It measures 39” wide, only 13” deep, and 20” tall. 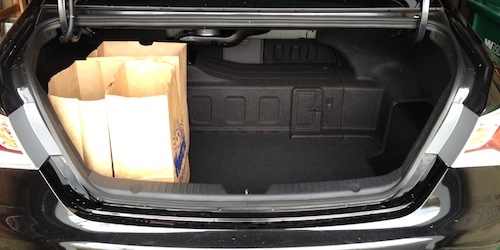 Officially, the trunk is around 8 cubic feet. This is about half that of the regular Fusion. 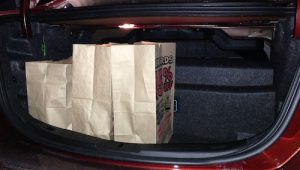 If trunk space is your biggest concern, due to kids activities, golf outings, tailgating, etc., then you might not have much luck here. The battery shape makes for some interesting trunk dimensions including a “shelf” on top of the battery that is 7” tall and 18” deep. 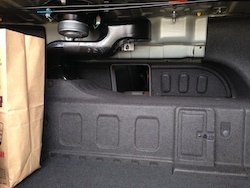 The 12-volt battery is located in a cubby just to the side of the trunk. I’ve seen this in other cars and assumed there’s a jump point under the hood. If this is new to you, it simply means there is a terminal under the hood that you can use with jumper cables and it’s as though you were connected to the 12v directly. Unfortunately, I couldn’t find the button or lever to pop the hood so I never found out. Seriously. I searched for several minutes in all the expected places then I searched in oddball places. Then I looked for the manual in the glove box but there wasn’t one. There is no denying that I honestly enjoyed driving the Fusion Energi. It seems to have an easy grace and comfort level that is difficult to explain. The exterior is well designed but also seems understated. With such an established line, the Fusion doesn’t really have to try very hard to be taken seriously in the marketplace. The layout of the dash is very well thought out. The placement of the displays clearly follows a well thought out, logical design approach. This makes it easy to find what you’re looking for without taking your eyes off the road to search for it. The red and blue hues of the displays are easy on the eyes. My only critiques can be on the placement of some buttons and switches. No doubt, once you get accustomed to them it’s no longer a problem. My cold-weather testing revealed that the Fusion Energi is capable of pretty good mileage even in relatively difficult situations. Without plugging in and charging the batteries, I achieved a respectable mileage of 38.4 mpg. 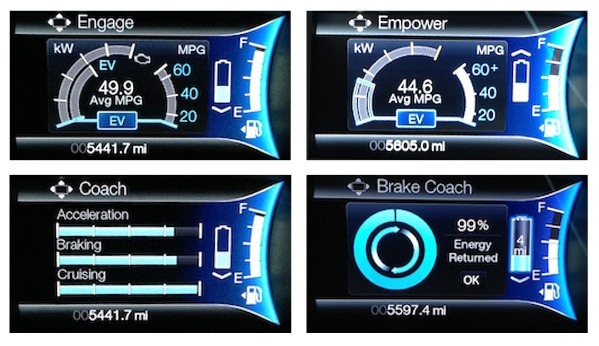 This is what my wife averages in her 2010 Fusion Hybrid in good weather. I’m anxious to see how the Fusion performs in the summer. I predict I could come close to 50 mpg with minimal effort. But, of course, the power of the plug-in is the 21 miles of EV, which should stretch your gas money substantially. Depending on your situation, 21 miles might get you through a whole day. Fitting a family of four into the Fusion Energi is a snap. The kids will be comfortable in the back except, perhaps, on long trips where I feel the seats might be a bit too stiff. Taller back seat occupants might get claustrophobic when their heads hit the ceiling. Half of the trunk is dedicated to housing the plug-in battery, which severely limits the amount of stuff you can fit back there. Let’s say you have a minivan or some other vehicle for long road trips and hauling the kids’ soccer gear and whatnot. The Fusion Energi is a very nice and comfortable daily commuter car. Using “My GO Time” you can start every morning with a full battery and a conditioned cabin. With 21 miles of EV and decent pure hybrid mileage, my conclusion is simple: there’s a very high probability this will be my wife’s next car. 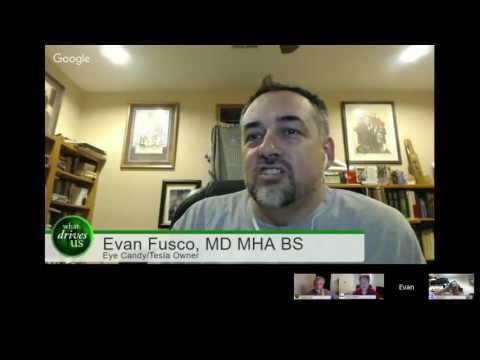 Huge thanks again to Dr. Tamara Fusco for her time and her willingness to talk about her new Tesla. California adjusts some incentives, when the music stops, who will be left standing? Exodus at Tesla or just growing up? Is the EPA rating now a guarantee? Another story of interest with the outlander, 20,000 Bees chase the Mitsubishi for 2 days!